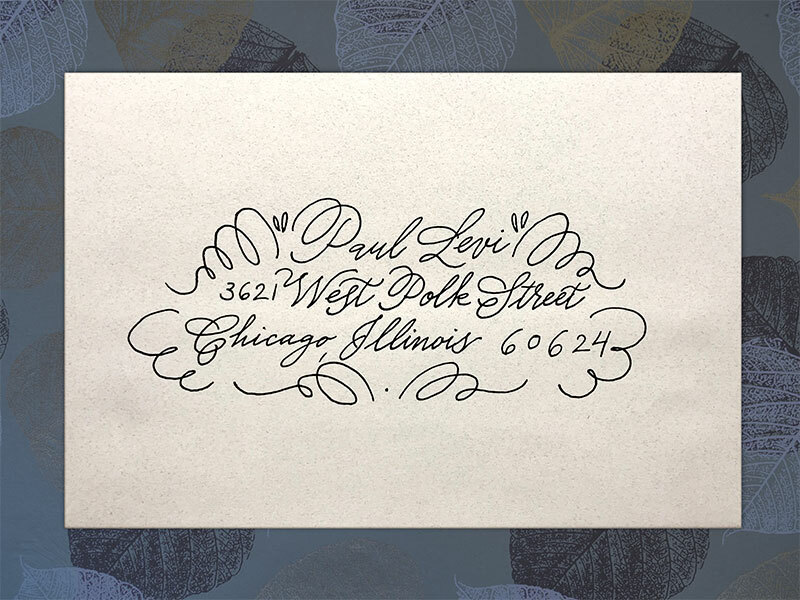 Select an envelope style you like from the examples below. Feel free to ask about using different color inks and envelopes. If you have a different style in mind, feel free to ask me about a custom made design. 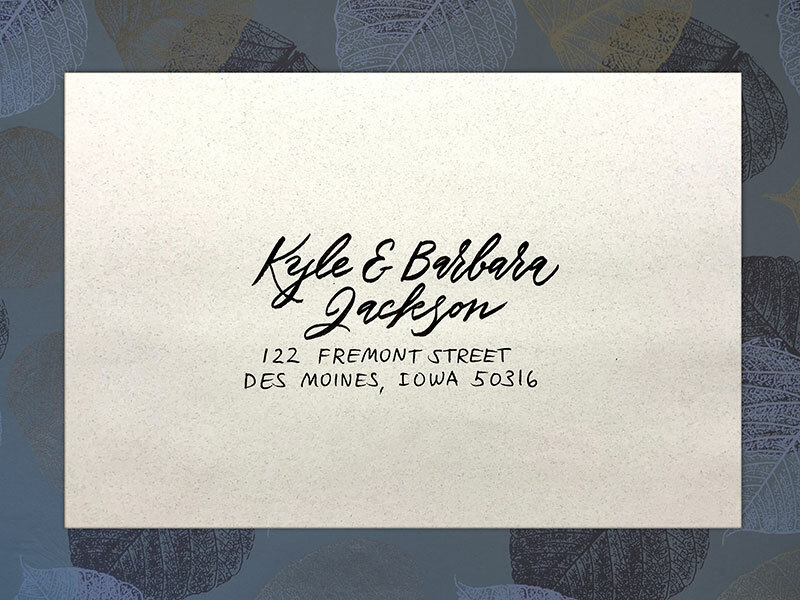 This envelope style comes in any ink color and works on any colored envelope. 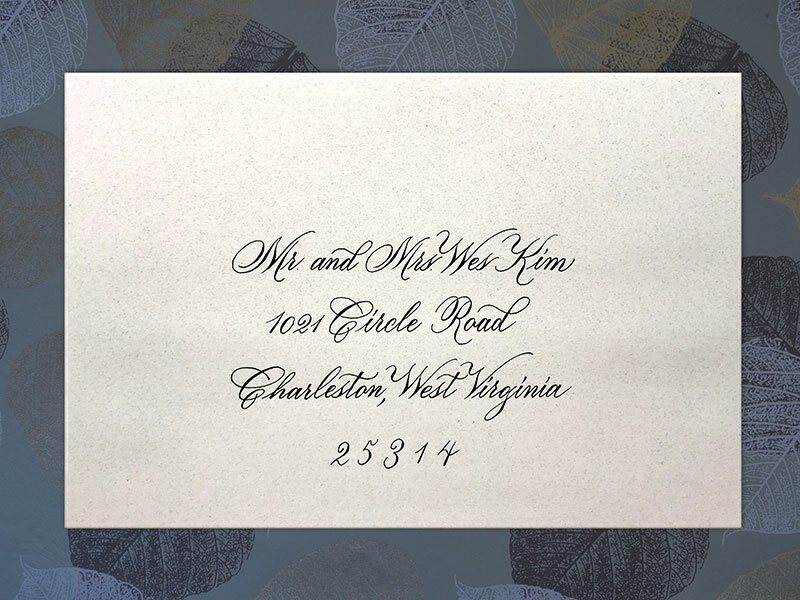 Here are two examples for dark ink on white envelope and white ink on dark envelope. 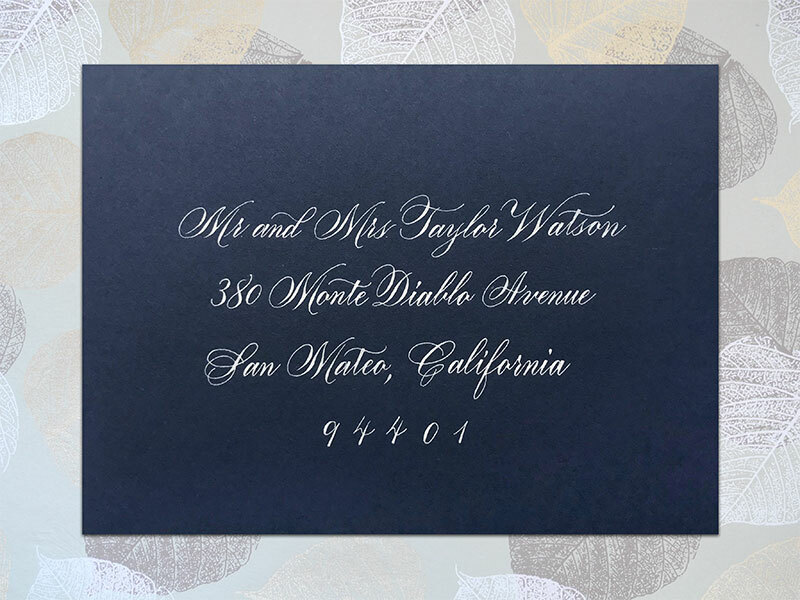 This envelope style comes only in black and works on light colored envelope.